With decades of experience defending those facing criminal charges in San Antonio and the surrounding areas of Texas, the attorneys of Goldstein, Goldstein, Hilley & Orr have fearlessly tackled a wide range of cases. Some of these have garnered media attention and even impacted future cases in courtrooms across Texas. 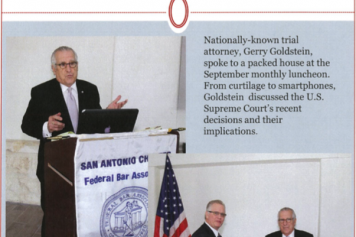 Gerry Goldstein and the team of attorneys at Goldstein, Goldstein, Hilley & Orr have shown their dedication to justice even in the face of stressful media attention and high stakes. 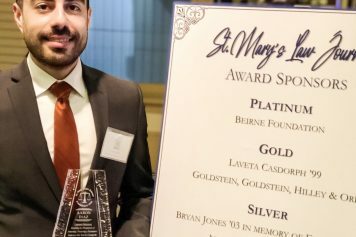 The public eye has turned to cases related to Goldstein, Goldstein, Hilley & Orr in several instances, giving the firm a respectable reputation as one of the leading sources of legal counsel in the State. The details of some of these incidents are outlined here on our website. Businessman Trey Farthing was unwittingly caught up in a bribery scheme by former Texas State Senator Carlos Uresti and former County Judge Jimmy Galindo. Farthing faced up to 25 years in prison for unknowingly participating in the scheme, but with the help of Gerald “Gerry” Goldstein, Cynthia Orr, John Torrey Hunter, and Abasi Daudi Major of Goldstein Goldstein Hilley &Orr, he was exonerated of all charges. Gerry Goldstein, for the Defense Williamson County resident Michael Morton, was acquitted of charges of murdering his wife. Mr. Morton had already served 25 years in prison after being wrongfully convicted, partially brought about by misconduct on the part of the Prosecutor presiding over the case. “Texas Man Freed After Serving Nearly 25 Years for Murdering His Wife That New DNA Evidence Shows He Didn’t Commit.” Innocence Project [Austin] 4 October 2011. On September 17, 2014, the Texas Court of Criminal Appeals overturned Hannah Overton’s capital murder conviction. In 2006, Overton was given a life sentence for the death of her soon-to-be adopted 6-year-old son over salt poisoning. Overton’s appellate team included distinguished attorneys Cynthia Hujar-Orr, Gerry Goldstein, and John Raley. “Until Innocent: The Hannah Overton Story.” Documentary Trailer. P&R Productions. 5 April 2014. Gerry Goldstein served as lead counsel for defense team of the Fundamentalist Church of Jesus Christ of Latter Day Saints after their West Texas compound was raided by police in 2008. 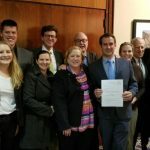 The defense challenged the probable cause given by the prosecution, the manner in which evidence was taken, and further argued that the church members had a constitutional right to their faith and privacy. Scharrer, Gary. “Sect’s attorney, state agree to Eldorado probe details“. Houston Chronicle. 9 April 2008. “More details released on FLDS compound raid“. KSL. 10 April 2008. Kovach, Gretel C. “Raid on Sect’s Temple Detailed“. NY Times. 11 April 2008. NLRB v. Yeshiva University, No. 78-857, SUPREME COURT OF THE UNITED STATES, 444 U.S. 672; 100 S. Ct. 856; 63 L. Ed. 2d 115; 1980 U.S. LEXIS 25; 87 Lab. Cas. (CCH) P11,819; 103 L.R.R.M. 2526, October 10, 1979, Argued, February 20, 1980, Decided ** Together with No. 78-997, Yeshiva University Faculty Assn. v. Yeshiva University, also on certiorari to the same court. Click on the following link to see a full list of Gerry’s Greatest Hits. Moreno-Gonzalez vs. U.S., No. 07-400 in the Supreme Court of the United States. Certiorari granted. Judgment vacated and case remanded for further reconsideration in light of Cuellar vs. U.S., 553 U.S. ___ (2008).